I was recently asked the question: “What would you do in the next five years if you knew you could not fail?” This question deals more with fear than with success. This made me think; is fear really that debilitating? Are we so afraid of failing that we don’t pursue the things that we so dream of doing? Each one of us limits ourselves with fear. Fear of failure, fear of rejection, fear of judgment, fear of disappointment. Without this fear we would be willing to try nearly anything. What would you do if you knew you could not fail? I hope that you would do exactly what you are doing. 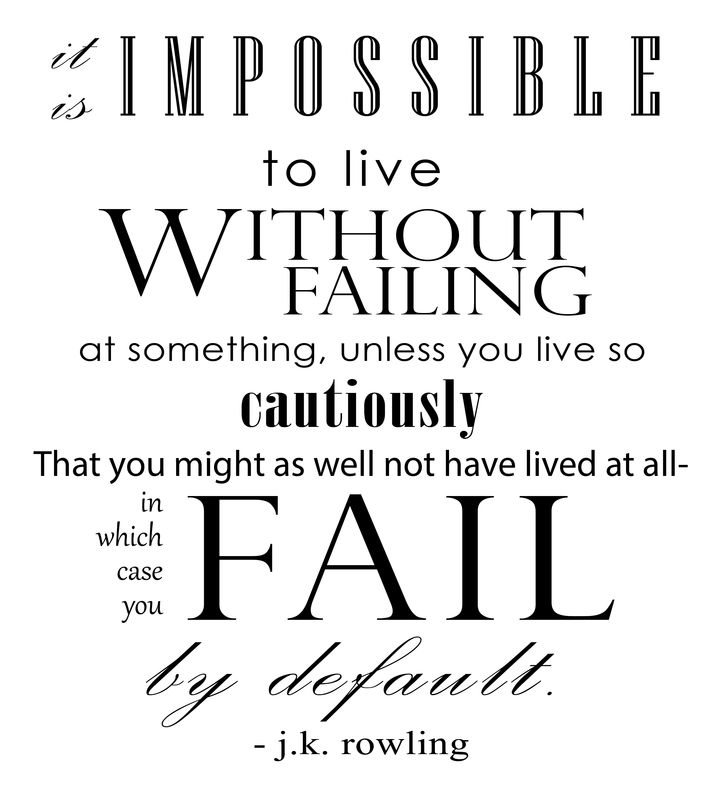 I hope that we can conquer this fear of failure and follow out dreams, because really what can stop us? Even if you were to fail, what would be the price. Does it hurt more to fail than it does to regret not taking a chance. Isn’t the journey of following a whim better than coming to the realization of the things you could have done, the experiences you could have had, and the dreams you could have made a reality. We all fail, but what is life without disappointment? What is life without heartache? It is our failures that make our successes so brilliant.